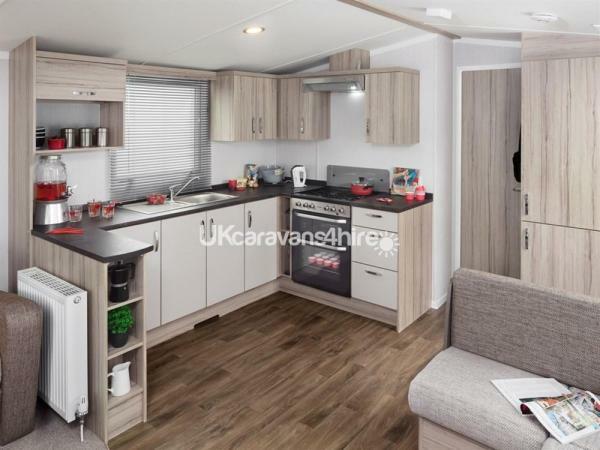 This brand new caravan benefits from a spacious open plan lounge/dining area and kitchen which is ideal for families and socialising. A separate hall area leads to the master bedroom which has a double bed and storage, the two further bedrooms have twin beds and storage, (the sofa in lounge houses the double pull out sofa bed). There is a family bathroom which has a double sized shower, toilet and hand basin and a further toilet with basin. 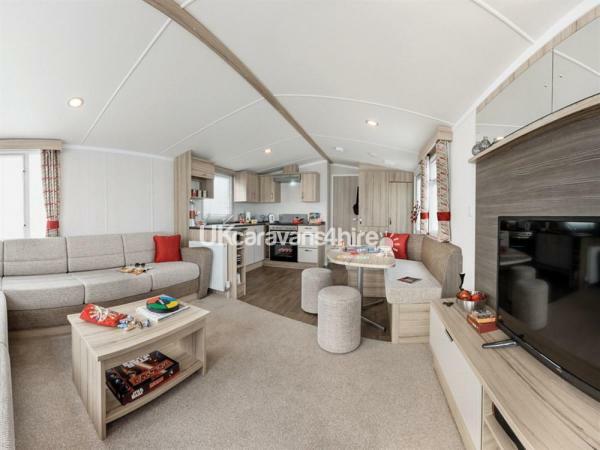 This beautiful caravan is situated on a quiet cul-de-sac position which benefits from a private patio area with table and chairs, perfect for enjoying a BBQ with your favourite tipple. 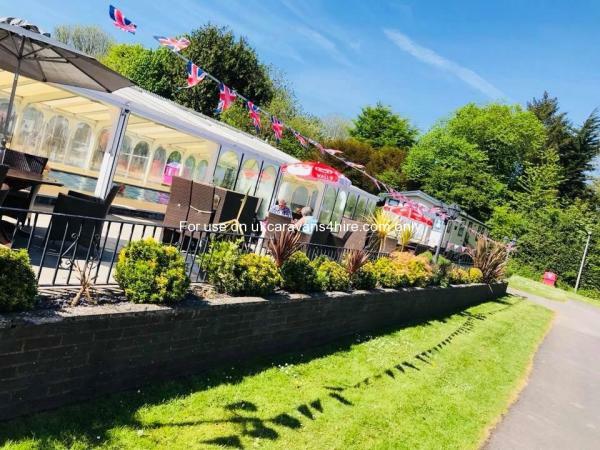 The park is perfectly sized with a warm and friendly welcome, it is well presented throughout and offers a great location for those looking to explore the nearby stunning coastaline and countryside. For a trip into Infamous Tenby, you can either hop on the train which is next to the site or only a 5 mile drive. 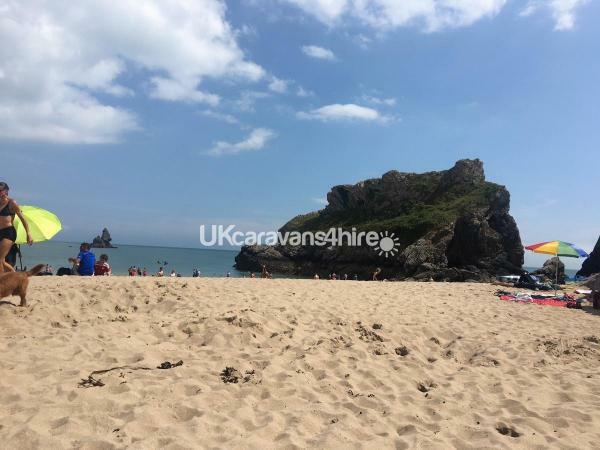 Within a short drive you can be in Saundersfoot, Bosherton beach, Folly Farm, Heatherton and Bluestone water park. Nearby Manorbier boasts a great beach for crabbing and surfing along with its very own beautiful castle with a lovely coffee shop inside the castle walls serving home made cake. On site, during the day, there is coffee on the patio enjoying the sunshine, a game of tennis, a swim in the recently refurbished indoor heated swimming pool, sauna or a more energetic day can consist of a game of tennis or a work out in the gym. The children not only have the pool and tennis courts, there are two small parks and an open green for a kick about. There is also a kids club during most school holidays. The evening is catered for by entertainment in the recently refurbished and very well presented clubhouse, where a great selection of drinks are available, a restaurant offering a varied and yummy menu of food options with kids meals and themes/offers on certain nights of the week. The children can enjoy the kids club and games room whilst the adults have the opportunity for a game of Bingo followed by evening entertainment - singer, magician, tribute acts and disco for boogying into the night. There is a on site shop, launderette, take away service from the restaurant for those who fancy a quiet night in doors. No reviews found. 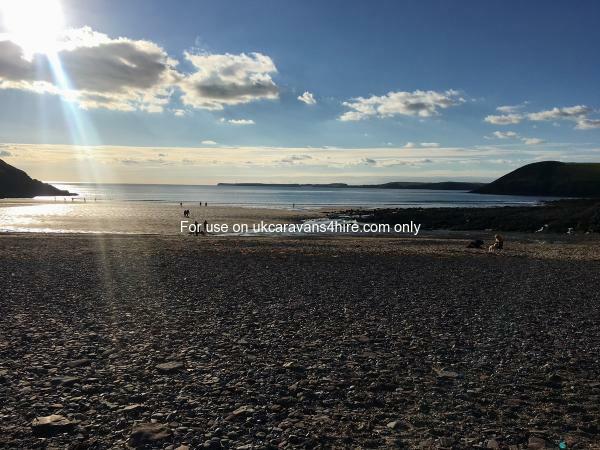 If you have recently stayed in this holiday home please leave a review, it only takes a few moments and will really help future guests when they are searching for holiday accommodation at Manorbier Country Park.